App Cleaner & Uninstaller is a Mac software tool to uninstall apps completely, remove service files and manage extensions. Apart from the app’s main feature, it also allows you to stop annoying startup items on Mac. Switch to the Extensions tab. Go to Login Items category, select unneeded apps and switch them off. 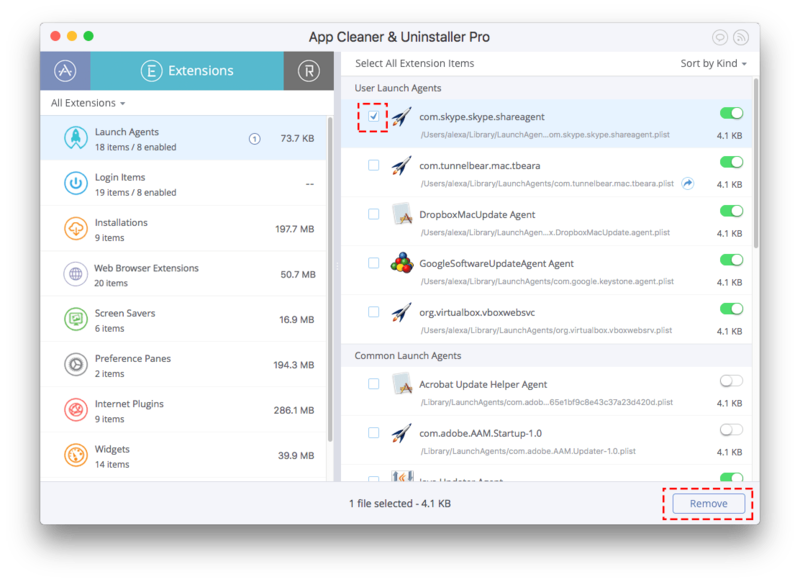 App Cleaner & Uninstaller also allows you to remove login items. Please, be careful with removing a login file. First make sure, that you will not need it anymore. Go to the Launch Agents category, select an unneeded item and mark its checkbox.